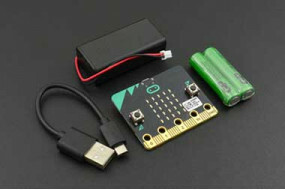 micro:bit is a pocket-sized microcontroller designed for kids and beginners learning how to program, letting them easily bring ideas into DIY digital games, interactive projects and robotics.micro:bit comes with a variety of on-board modules, including a 5x5 LED matrix (also supports light detection), 2 programmable buttons, motion detector, compass and Bluetooth® Smart module. 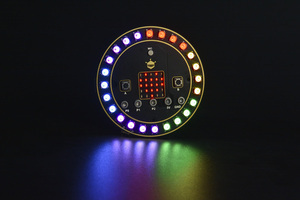 Additionally, you may attach more modules such as a servo motor, RGB LED lights through five I/O rings or 20 edge connectors. 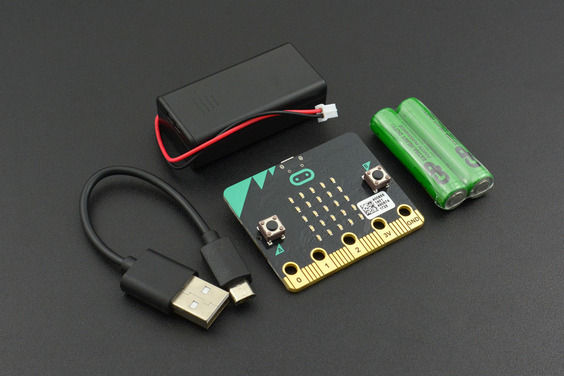 And here comes the micro:bit Go bundle, an on-the-go starter kit with USB cable, 2AAA batteries and battery holder, allowing you to upload program and carry it around right after the unboxing. Two programmable buttons. 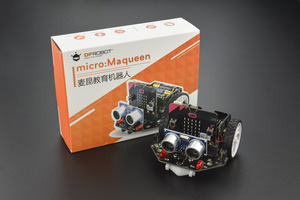 The micro:bit can detect either of its two buttons being pressed and unpressed, and can be programmed to act on that or send the information to another device. 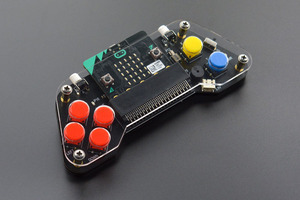 Use them as a games controller, or control music on a smartphone. On-board motion detector or 3-AXIS digital accelerometer that can detect movement and tell other devices you’re on the go. It measures on 3 axes, X, Y, Z, and sends back the data in milli-gs. The micro:bit can react to this data and tell other devices it is moving. The device will also detect a small number of standard actions, eg shake, tilt and freefall. Turn the micro:bit into a spirit level. Use it for motion-activated games. 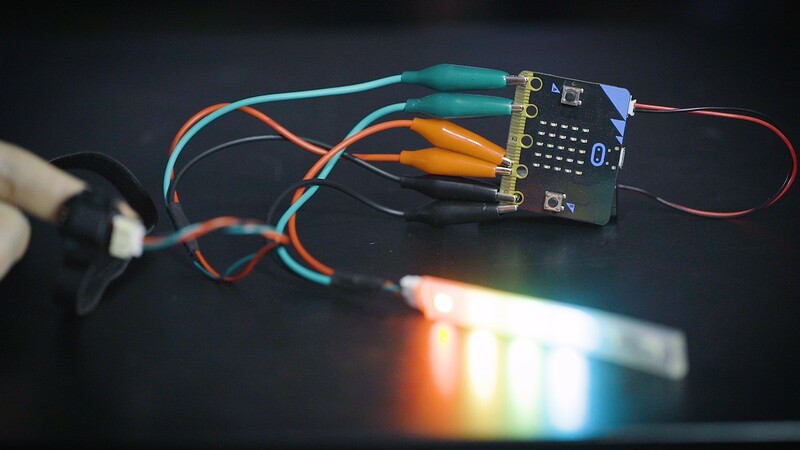 Have your micro:bit light up when something is moved. A built-in compass, 3D magnetometer to sense which direction you’re facing and your movement in degrees. 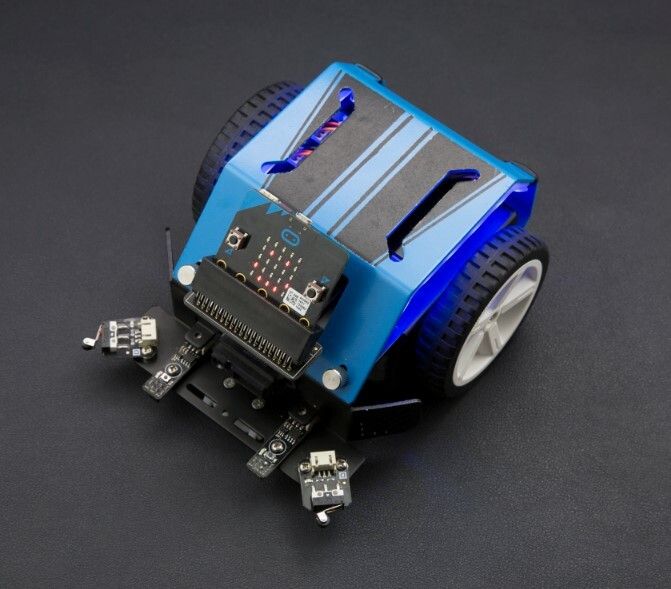 This data can be used by the micro:bit in a program or be sent to another device. 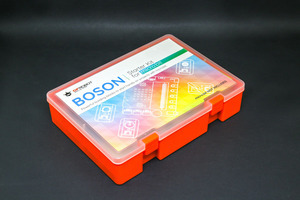 The magnetometer could also detect the presence of certain metals and magnets. Bluetooth® Smart Technology (previously called Bluetooth Low Energy) to wirelessly communicate with other Bluetooth Smart devices and exchange data and commands. 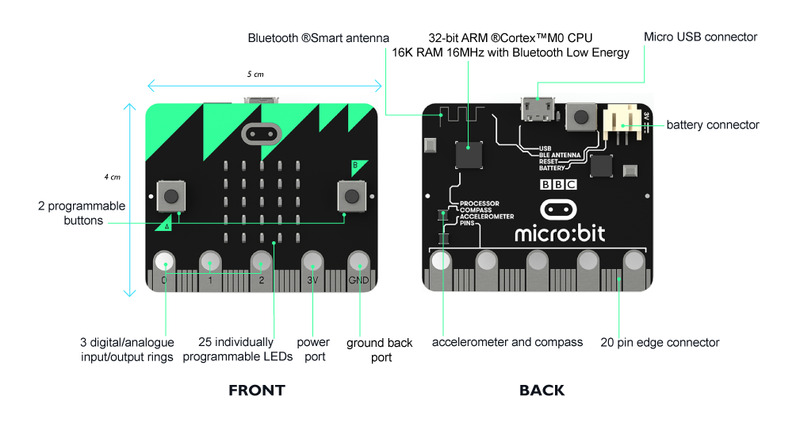 Connect the micro:bit to other micro:bits, devices, phones, tablets, cameras and everyday objects all around. 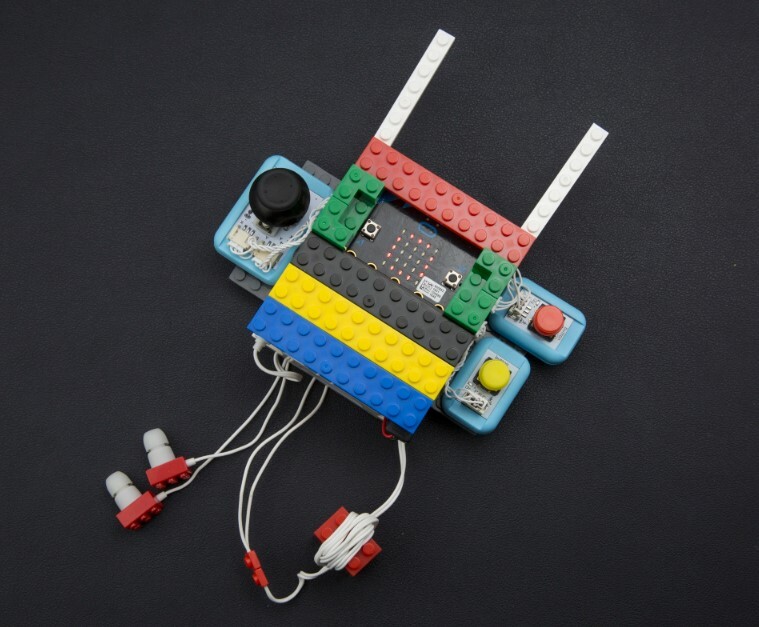 Play games, share creations or join forces to create multi-micro:bit masterpieces. Take a selfie. Pause a DVD or control your playlist. Five Ring Input and Output (I/O) including power (PWR) and ground (GRD). PWR, GRD, I/O x 3. Each I/O ring is programmable to be either analogue or digital. 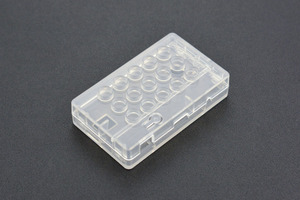 The rings are suitable for crocodile clips or 4mm banana plugs, meaning an external sensor can be connected to measure things like temperature, moisture, proximity to other devices. 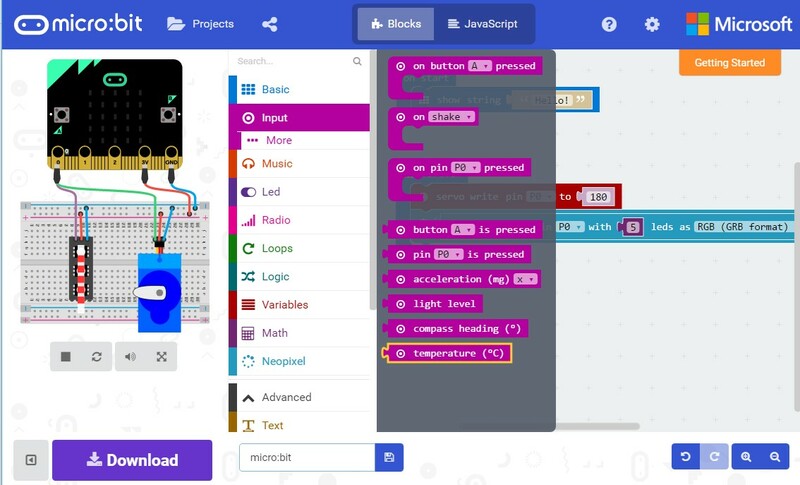 The micro:bit reads values from the sensor and acts on them or sends them to another device. The micro:bit can also send control commands to the rings – these could be used to control things like a motor or robot. 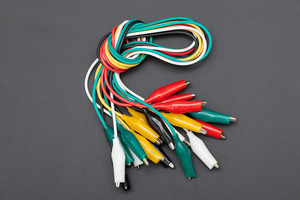 The PWR and GRD rings supply 3 volts and could be used to power a separate device. 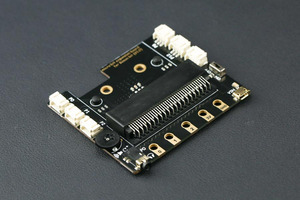 Edge Connector: 20 pins, 1.27mm pitch and extend 7.62mm from board edge suitable for standard connectors. 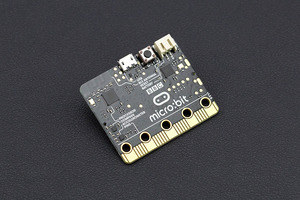 This allows the micro:bit to be connected to another device, eg Arduino, Galileo, Kano and Raspberry Pi through a standard connector. 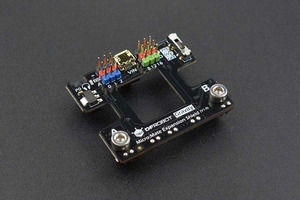 Micro-USB controller: This is controlled by a separate processor and presents the micro:bit to a computer as a memory stick. This means the program can be dragged onto the micro:bit in the same way a file is dragged onto a memory stick.